Order Basecamp today and start climbing! IS BASECAMP DESIGNED FOR INDIVIDUAL STUDENT USE? Yes! The supplied registration code is for the sole use of the original purchaser of Basecamp. Students are required to agree to a terms and condition agreement prior to utilizing Basecamp. The agreement clearly specifies that the use of the established Basecamp account by any other party is strictly forbidden and would be considered a violation of existing copyright law. HOW SIMILAR ARE THE QUESTIONS IN BASECAMP TO QUESTIONS IN OTHER SCOREBUILDERS’ PRODUCTS? Sample examination questions utilized in each of our licensing resources are unique to that particular resource. For example, questions utilized in Basecamp are different than the questions utilized in PTAEXAM: The Complete Study Guide or Online Advantage. WHY WOULD I PURCHASE BASECAMP – ANNUAL INSTEAD OF BASECAMP – STANDARD? 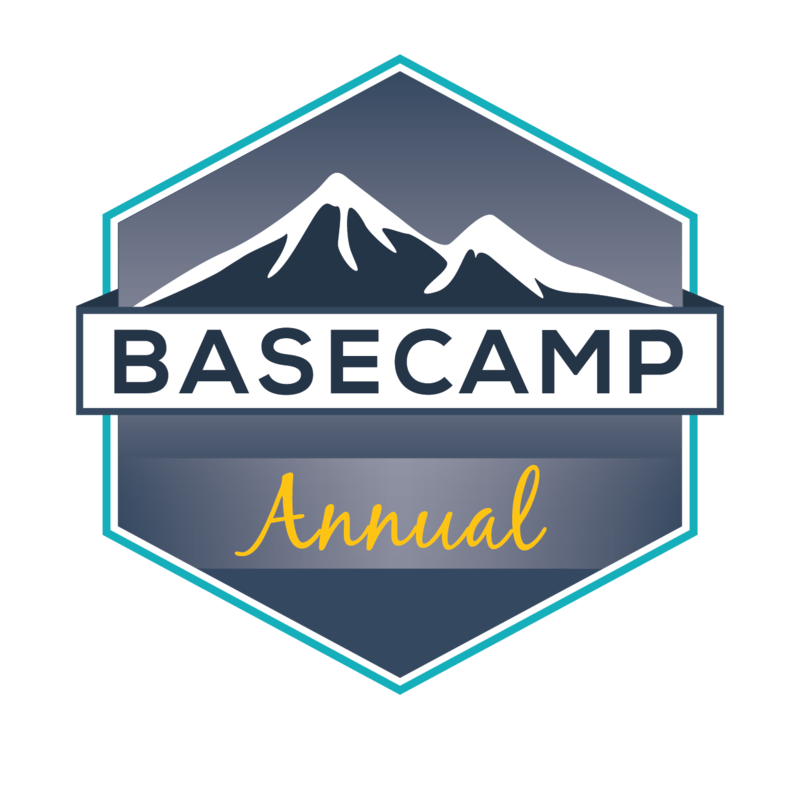 Basecamp – Annual offers the BEST value and allows you to have full access to this amazing product for 365 days. Go big or go home! WHY WOULD I PURCHASE BASECAMP – STANDARD INSTEAD OF BASECAMP – ANNUAL? In some cases, students need an extremely focused and rapid academic review. In these instances, Basecamp – Standard is a perfect option. Consider a student preparing for a challenging upcoming clinical experience or a student with an impending date with the licensing examination! DOES THE ON-CAMPUS REVIEW COURSE INCLUDE BASECAMP - STANDARD (30 Day) ACCESS? Yes! We will provide all students attending an On-Campus Review Course with Basecamp - Standard (30 Day) access. Students will receive an access code at the actual review course to utilize Basecamp. Students must be present at the course to receive the access code. Refunds will not be made for students that have previously purchased Basecamp. HOW MANY QUESTIONS ARE INCLUDED IN CLIMB AND KING OF THE MOUNTAIN? Our newest Basecamp features, Climb and King of the Mountain, allow students to play solo or challenge one another in real time. The player to answer the most consecutive questions wins! Collectively, the games contain 5,000 core academic questions. A student’s quest begins by answering a single question and does not end until they answer a question incorrectly. The competitive games make it difficult to tell if you are actually studying or simply having fun! Students can explore their performance data using the Arena - Scorecard. Check out your Wins, Losses, and Draws as you progress through your Basecamp journey. These new features add a competitive aspect to studying and engage students as they review meaningful academic content. CAN I DOWNLOAD THE BASECAMP ARENA APP AND PLAY CLIMB AND KING OF THE MOUNTAIN ON MY MOBILE DEVICE? YES! 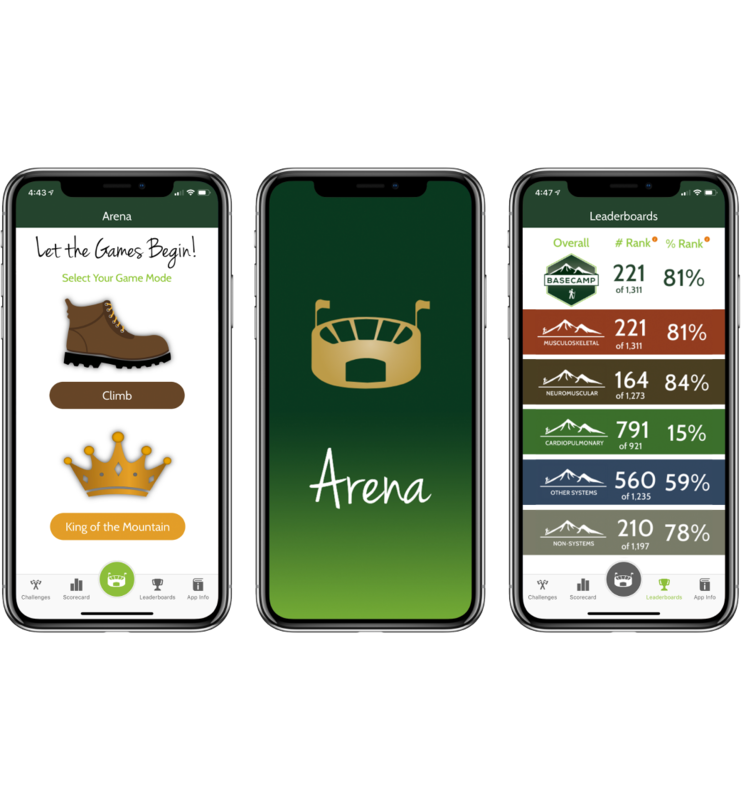 The Basecamp Arena app allows current Basecamp users to utilize our competitive games King of the Mountain and Climb, anytime and anywhere using a mobile device. Play the games in solo mode or challenge a classmate to a battle of wits. 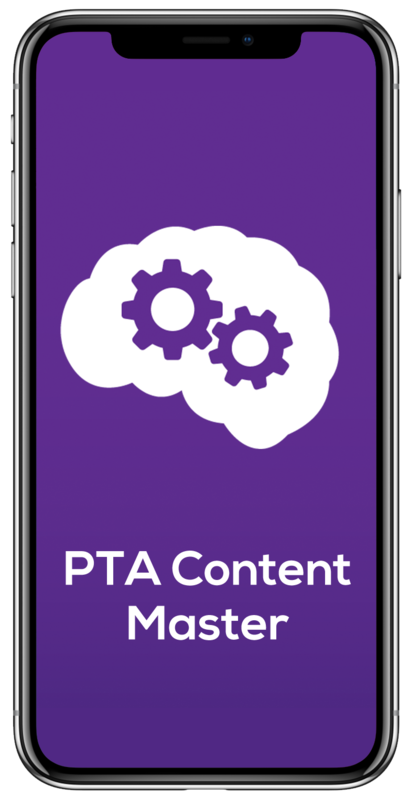 Collectively, the two game modes offer over 5,000 questions designed to assist students to commit critical core academic content to long-term memory. CAN I DOWNLOAD AND UTILIZE THE BASECAMP ARENA APP IF I NO LONGER HAVE AN ACTIVE BASECAMP ACCOUNT? The app is designed for the exclusive use of individuals with an active Basecamp account. The login information required for the app is the same as you initially established to access Basecamp on your computer. Just enter your Basecamp username and password and let the games begin! If your Basecamp account has expired, simply purchase an extension and resume your Basecamp journey with full access to the Basecamp Arena App. DOES THE ONLINE REVIEW COURSE ACE – A COMPETITIVE EDGE include BASECAMP - STANDARD (30 Day) ACCESS? No, even better! 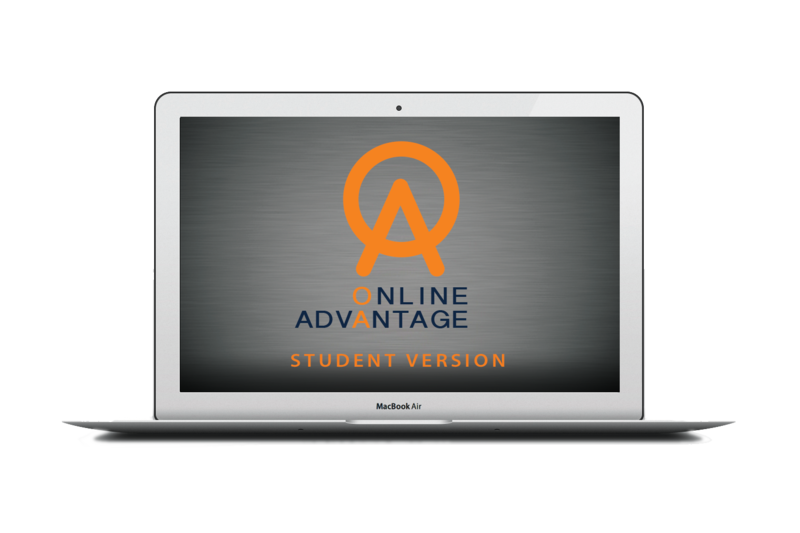 We will provide all students purchasing access to ACE – A Competitive Edge with 120 day access to Basecamp. Students will receive an access code for Basecamp electronically when purchasing ACE. Refunds will not be made for students that have previously purchased Basecamp. IS BASECAMP PC AND MAC COMPATIBLE? Basecamp is an internet based eLearning tool. A PC or Mac user that has access to the internet has the ability to use Basecamp. CAN I ACCESS BASECAMP ON MULTIPLE ELECTRONIC DEVICES? Basecamp is fully scalable, meaning that you can access the program on your personal computer, tablet or mobile device. Our goal was to create a revolutionary study tool compatible with your busy lifestyle. ARE THE QUESTIONS IN BASECAMP DESIGNED TO BE SIMILAR IN STYLE AND FORMAT TO THE QUESTIONS ON THE NATIONAL PHYSICAL THERAPY EXAMINATIONS? NO! The purpose of the 5,000 questions in Basecamp is to make sure candidates possess strong core academic content knowledge. Core academic knowledge is a foundational component necessary prior to moving on to higher level analysis and decision making questions. Our resources PTAEXAM: The Complete Study Guide and Online Advantage contain more licensing-like questions and are ideal once a candidate has solid command of core academic content. I HAVE OTHER SCOREBUILDERS PRODUCTS. DO YOU THINK I WOULD BENEFIT FROM USING BASECAMP? YES! All of our products are unique and Basecamp is no exception. Basecamp is a fantastic learning tool whether you are a student in a physical therapy program, a graduate who is preparing for the licensing examination or a licensed physical therapist looking to stay sharp. Core academic content knowledge is always in style! DO I NEED TO POSSESS PTAEXAM: THE COMPLETE STUDY GUIDE IN ORDER TO UTILIZE BASECAMP? Although not required, to maximize the potential benefit of Basecamp and complete the assignments, it is highly recommended you have a copy of our best-selling review book. HOW LONG WILL STUDENTS HAVE ACCESS TO BASECAMP? 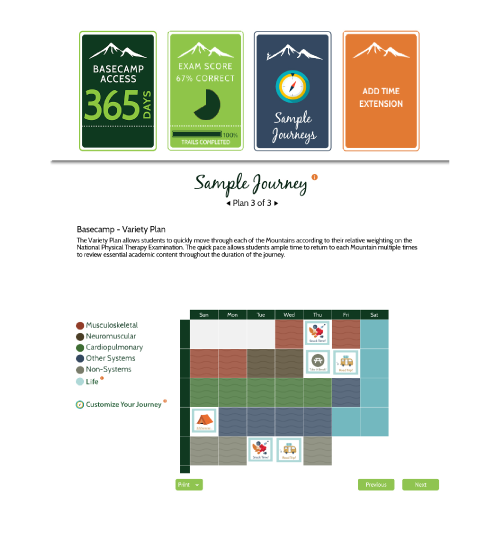 Basecamp - Standard provides 30 day access to all of the Basecamp features. Extensions can be purchased in intervals of 30, 60 or 90 days. The cost of the varying length extensions is as follows: 30 Days = $40; 60 Days = $50; 90 Days = $55. The Basecamp calendar automatically adjusts to a change in access period as long as access is continuous. IF MY BASECAMP ACCESS PERIOD INADVERTENTLY EXPIRES, IS THERE A WAY TO GAIN ADDITIONAL ACCESS TO BASECAMP? Existing Basecamp users can purchase an extension at any time meaning during a current active subscription period or even after access has expired. CAN I REWATCH THE VIDEO ASSESSMENTS AND RETAKE THE SAMPLE EXAMINATIONS? Yes indeed! Rewatch the videos and retake the sample exams as many times as you like within your access period! IS THE SCORECARD SUMMARY DATA REFLECTIVE OF ONLY MY FIRST ATTEMPT? No, the Scorecard data is reflective of your most recent attempt at each trail. We encourage you to take the examinations as frequently as possible to commit the information to long term memory. This same approach is not recommended with more licensing-like questions when attempting to predict readiness for the actual licensing examination. IS THERE A RECOMMENDED PASSING SCORE ON THE SCORECARD? There is not an established uniform "passing score". The bottom line is that Basecamp assesses students on academic core knowledge and as a result the expectation is that you should be doing “splendidly” prior to your Basecamp access expiring. HOW WILL I KNOW HOW FAST TO PROGRESS THROUGH THE VARIOUS MOUNTAINS AND TRAILS? Basecamp’s interactive calendar feature allows students to customize and plan their progression through each Mountain as they see fit. At Scorebuilders, we understand that life doesn’t always go as planned, adjust your studying habits to your own unique journey! No! The examinations are designed to be taken online. Reproducing the questions contained within Basecamp for any reason would be considered a violation of established copyright law. CAN BASECAMP ACCOMMODATE STUDENTS WITH DOCUMENTED LEARNING DISABILITIES? YES! Basecamp does not have specific time restrictions for the videos or the sample examinations and the videos can easily be resized to permit full screen access. IS IT POSSIBLE TO VARY THE PLAYBACK SPEED TO SPEED UP OR SLOW DOWN THE VIDEO PLAYBACK? Yes! The video player allows for numerous playback speeds which can be extremely beneficial when reviewing selected videos. The video size can also be adjusted to expand to full screen if desired. CAN A SCHOOL PURCHASE BASECAMP ACCESS AN INSTITUTIONAL LICENSE? No! This would be considered a violation of existing copyright law. We do, however, offer discounts of up to 20% on class orders. HOW DO I ACCESS BASECAMP? Basecamp - Standard can be purchased directly through our website www.scorebuilders.com. Upon ordering an electronic purchase confirmation containing an access code will be sent to the supplied email. Students can redeem the access code by accessing the Basecamp home page basecamp-sb.com or by accessing the page through the login button on the Scorebuilders’ homepage and selecting Basecamp. IS BASECAMP DESIGNED TO SERVE AS A WEB-BASED REVIEW COURSE? No! 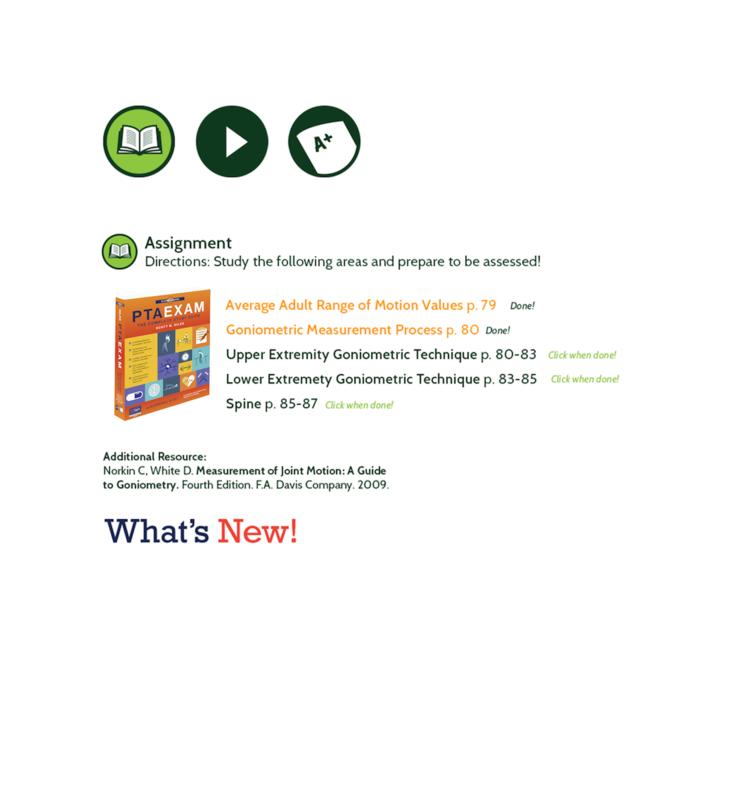 Basecamp is a study tool designed to provide a directed review of core academic content. Our On-Campus Review Course and our online review course ACE – A Competitive Edge are both review course offerings. DOES BASECAMP OFFER EXPLANATION OF ANSWERS FOR THE MULTIPLE-CHOICE QUESTIONS? Each of the multiple-choice questions in Basecamp has an explanation of the correct answer. The explanation will immediately appear after submitting an answer to the question. Not only is the Mountain and Trail theme fantastic, but I love the ability to focus on specific content in isolation. I have several Scorebuilders products and am beyond a happy customer! I attended your On-Campus Review Course and received free Basecamp access. I cannot express to you how much this tool has helped my academic content knowledge. I noticed an immediate increase in my sample exam scores after using Basecamp and believe it was instrumental in helping me to pass the exam! Thank you Scorebuilders! Our program required our class to purchase Basecamp and needless to say we jumped in with both feet. Many of us are inherently competitive and Basecamp provided us with a perfect platform to satisfy this need. The competitive pieces of Basecamp are a true game changer for me. My attention span is at times limited when I study and I find that active games keep me far more engaged. The ability to play by myself and with others brings great diversity to this learning tool. I have so much fun that at times I forget that I am actually studying! I spent three hours on Basecamp last night and wanted to share with you that it was bordering on fun. If all of my resources were this entertaining I would have a 4.0 grade point average. Thank you for developing this magnificent learning tool! I purchased your online review course ACE and in the process received 120 day Basecamp access. First, the course has been awesome, but Basecamp has been an absolute gift! What a brilliant idea. The videos are incredibly entertaining. I am a visual learner and they have been very beneficial to my study program. I truly enjoy the structure that Basecamp provides. It has made the study process seem much more manageable and efficient. I have never seen so many multiple-choice questions in one place. The ability to retake the exams has allowed me to reinforce much needed academic content. Your attention to detail and the ability to develop creative, well designed products separates Scorebuilders from other educational companies. I am loving this program and want to thank you for coming up with this study tool and all that you do to help with preparation for the national exam! 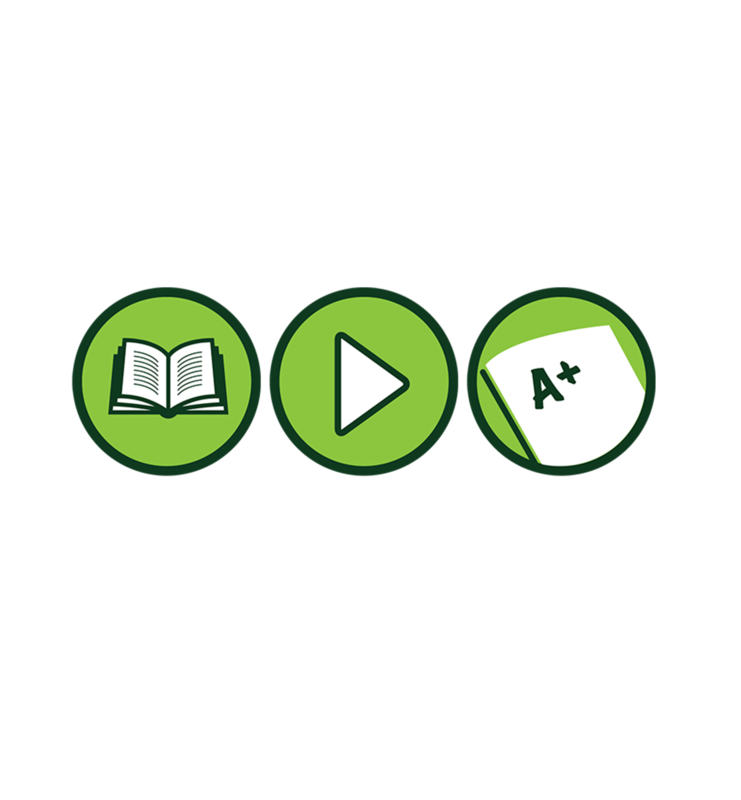 Basecamp offers candidates the opportunity to develop mastery of essential academic core content according to a unique personalized study plan. Our belief is that the quest for licensure is made significantly more manageable with the assistance of an experienced guide! Basecamp covers academic core content in five distinct Mountains (Musculoskeletal, Neuromuscular, Cardiopulmonary, Other Systems, Non-Systems). Explore over 120 Trails (e.g., anatomy, range of motion, special tests) which represent specific academic subject matter relevant to each Mountain. Basecamp - Standard provides 30 day access to all Basecamp materials. Extensions provide an ideal method to lengthen your journey and take in the scenery. Progression calendars automatically adjust to your current access period and help you stay on track. 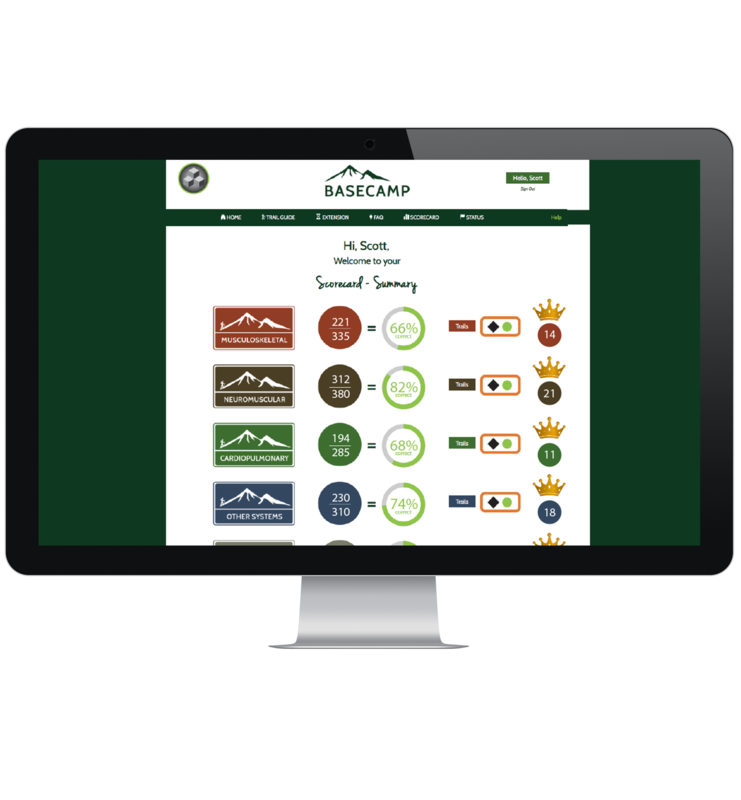 Each Basecamp trail includes Assignments, Videos, and Exams to promote mastery of specific subject matter. Use this opportunity to dig in and get dirty with critical academic content! 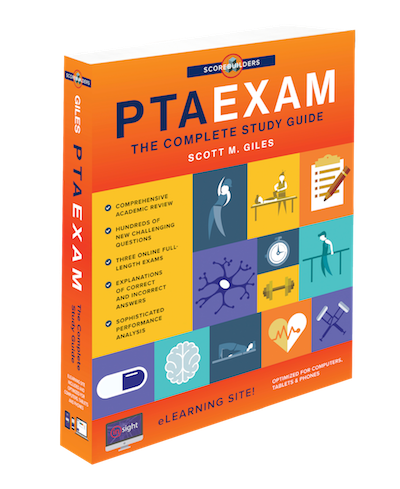 Specific assignments from our best-selling review book PTAEXAM the Complete Study Guide allow students to move through academic content in an orderly and predictable fashion. Improve your content knowledge in specific areas before being formally assessed through videos and exams. Creative videos allow students to engage in meaningful self-assessment while having fun reviewing meaningful academic content. 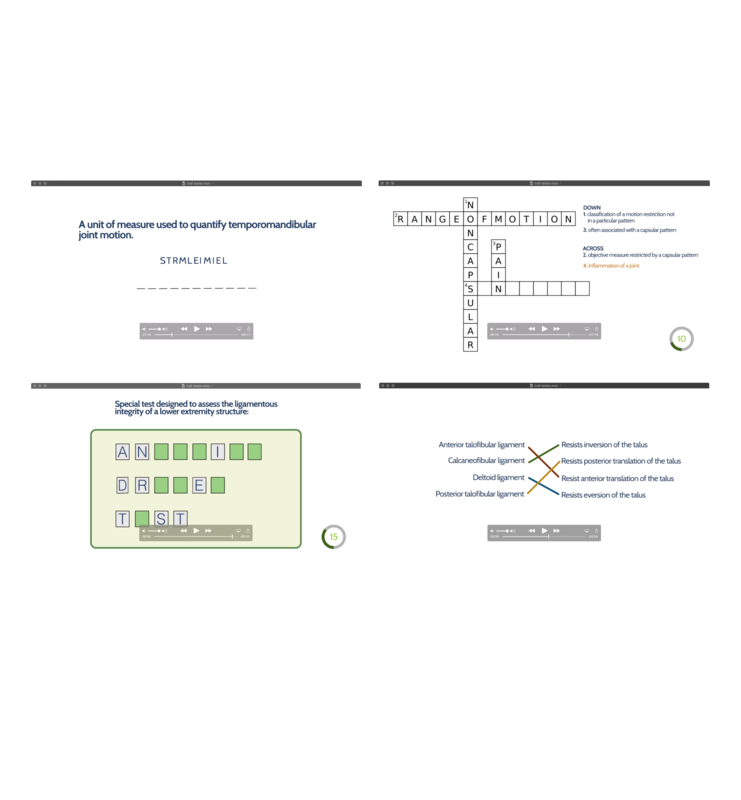 Crosswords, Matching, Wheel of Therapy, Sequencing, and Jumbles are just a few of the many question types utilized in the videos! After completing the assignment and video assessment for each Trail, candidates have the opportunity to demonstrate their knowledge by answering multiple-choice questions. 2,000 questions with explanations of the correct answers provide candidates with critical assessment data. 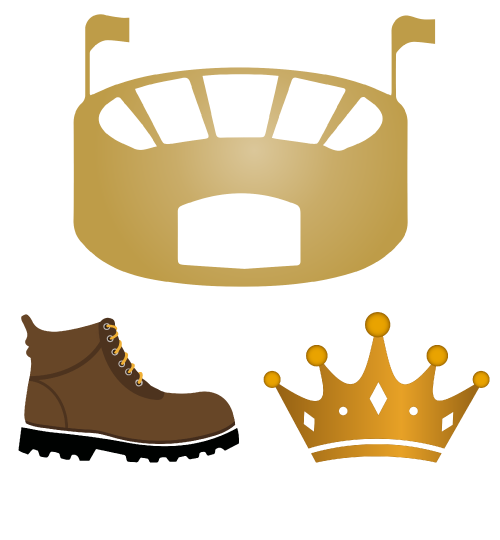 One little click on the Arena icon provides users with access to 5,000 unique questions integrated into two fast paced educational games - Climb and King of the Mountain. Play the games in "Solo" or "Challenge" mode and watch your academic mastery soar to new heights. 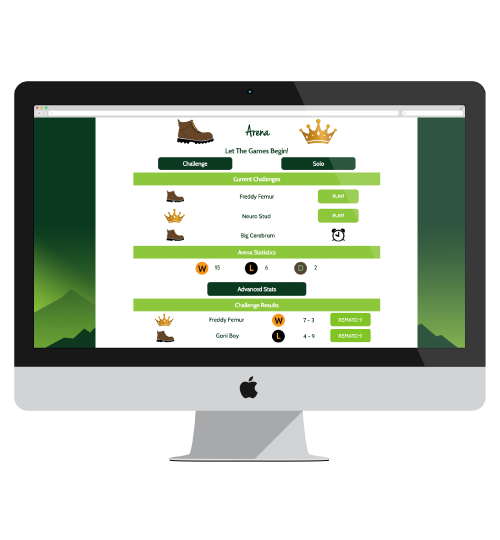 Our super cool Basecamp Arena app allows you to play Climb and King of the Mountain, anytime and anywhere! The app is FREE for all current Basecamp users. The iOS version was just released and the Android version will be available later this spring. Our newest Basecamp features - King of the Mountain and Climb - allow students to challenge one another in real time. The player to answer the most consecutive questions wins! Students can explore their performance data using the Arena - Scorecard. See if you have the knowledge to survive in the Arena. An advanced Scorecard section allows candidates to monitor their performance in each of the Mountains and associated Trails. By identifying areas of strength and weakness candidates are able to develop appropriate remedial plans and enhance core academic content knowledge. Core academic content is a precursor to the higher level analysis and decision making skills required on the NPTE-PTA Examination. Let Basecamp help you dust off the cobwebs and become a lean mean fighting machine as you progress through your licensing journey. Everyone Benefits From a Guide! Few challenges are as formidable as preparing for a licensing exam that encompasses years of academic training. BASECAMP offers candidates a personal guide to navigating through the academic review process. Establishing mastery of critical core academic content allows students to quickly progress to the higher level decision-making and analysis skills required to be successful on the National Physical Therapist Assistant Examination (NPTE-PTA)! Pick a Trail and Start Climbing! 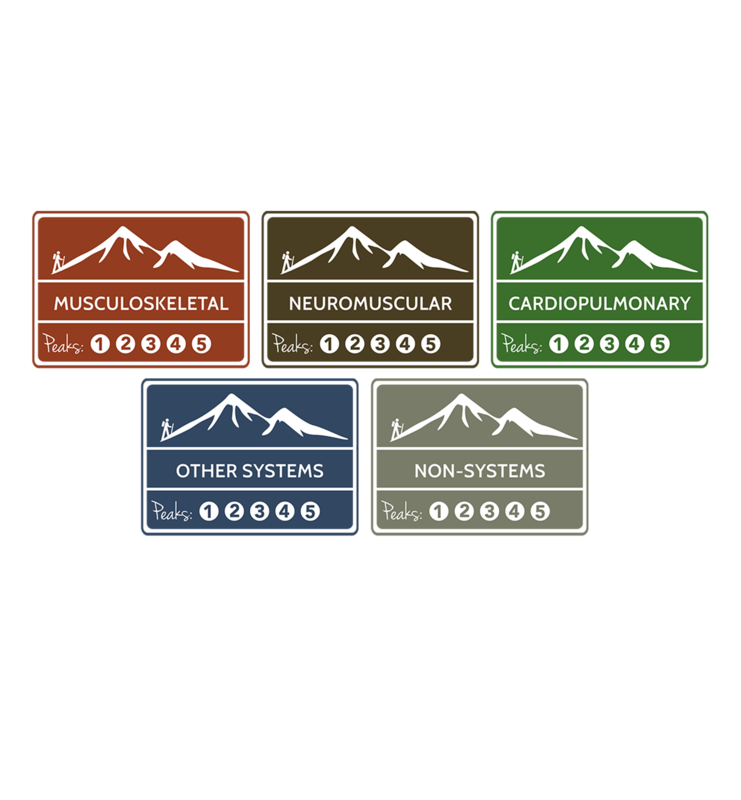 BASECAMP takes students on a journey through five Mountains (Musculoskeletal, Neuromuscular, Cardiopulmonary, Other Systems, Non-Systems) and 121 Trails (e.g., Anatomy, Pulmonary Function Tests, Motor Learning, Ultrasound). Each Trail integrates specific assignments from our best-selling review book PTAEXAM: The Complete Study Guide. Students have the opportunity to assess their trail mastery by watching videos and answering multiple-choice questions. Collectively, BASECAMP includes over 40 hours of videos and 5,000 questions. 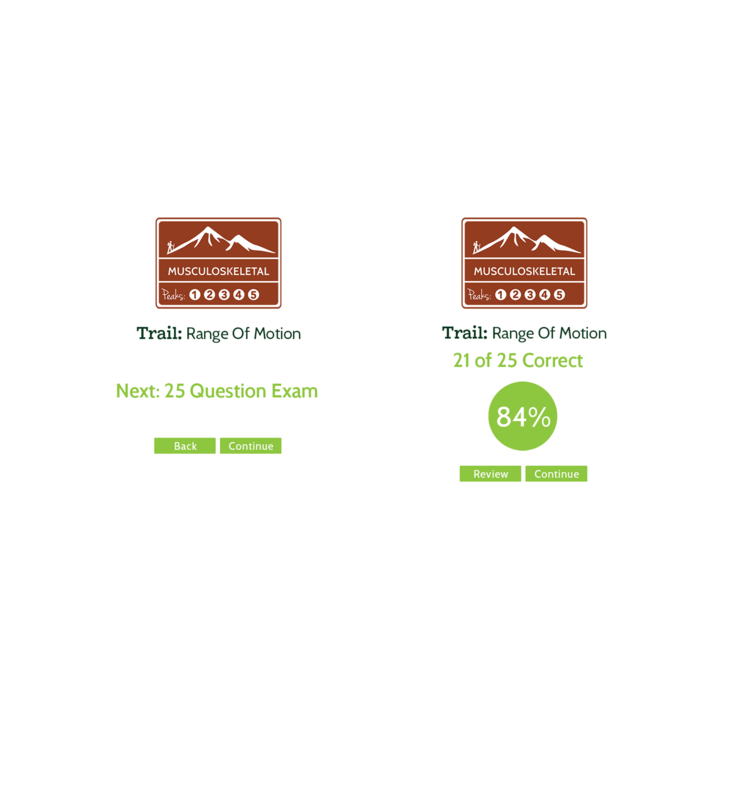 A Scorecard monitors student performance in each Mountain and Trail. The Basecamp Arena app provides students with a unique mobile experience where they can spontaneously connect and compete with friends while mastering educational content. Study anytime and anywhere and watch your academic mastery soar! The app is free for all individuals with an active Basecamp account. The app is now available for iOS users and coming soon to the Google Play Store. Students use BASECAMP by purchasing BASECAMP - Standard which provides 30 day access. Receive 30 day complimentary access to BASECAMP by attending our On-Campus Review Course or 120 day access by purchasing our Online Review Course ACE – A Competitive Edge. Opportunities exist within BASECAMP to purchase varying length extensions to add additional days to the journey.  Interactive calendars within BASECAMP automatically adjust to make sure the user’s pace is appropriate to reach the summit. BASECAMP is an ideal study tool to kick off a comprehensive study plan. The tool, when used in conjunction with PTAEXAM: The Complete Study Guide, allows candidates to quickly master essential core academic content knowledge. This dynamic educational offering engages students and makes learning fun! Once students develop sufficient mastery of core academic content using BASECAMP they are ready to graduate to the full-length exams in PTAEXAM: The Complete Study Guide and Online Advantage. This progression allows students to better simulate the critical thinking skills necessary to be successful on the NPTE-PTA.